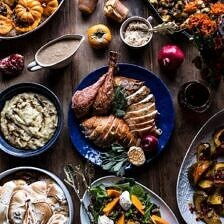 I am starting the holiday month off with my 2017 Thanksgiving Menu and Guide. Can you believe it’s already Thanksgiving time again? It seems like Thanksgiving 2016 wasn’t long ago, but I’m pretty excited to be getting back into the holiday frame of mind. I know it’s lame, but the next two month are truly my two favorites of the year. I will forever and always be a holiday girl. And we have so many fun things in store this holiday season…today is only the beginning! Clearly I’m trying to build up your excitement here, hoping it is working! Thanksgiving is obviously the biggest food holiday of the entire year. Some years I take Thanksgiving a little more seriously than others. Fortunately, this is one of those years I’ve decided I’m really going to DO Thanksgiving. What exactly does this mean? 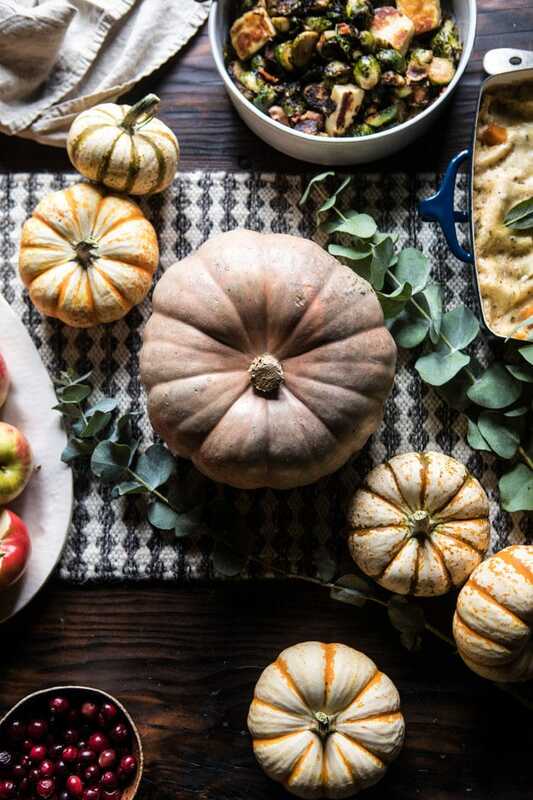 Well, almost all month long I’ll have new Thanksgiving/holiday recipes I will be sharing. 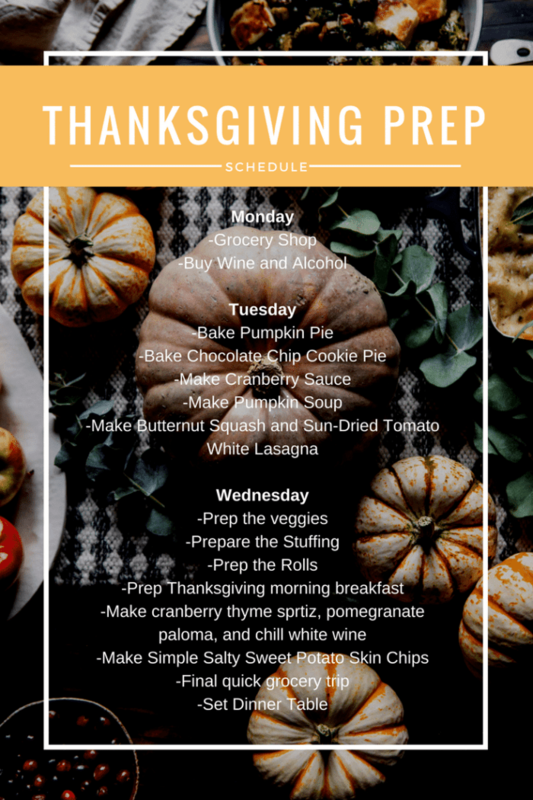 I’ll also be sharing easy dinners to make leading up to Thanksgiving Day (because we DO have to eat dinner for the next twenty-two days).There’s going to be a lot of really delicious food. 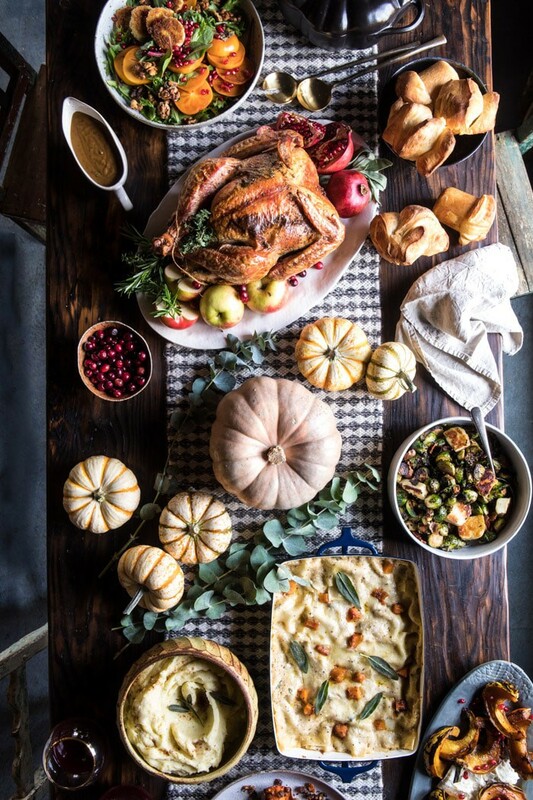 Today I am sharing my 2017 Thanksgiving Menu, along with a few tips to make Thanksgiving Day a breeze. First up, the menu. A lot of these are new recipes and will be coming to the blog in the next two weeks. I wanted to share my menu first, so you could all plan properly…ok, I also wanted to get you excited for all the great recipes heading your way. 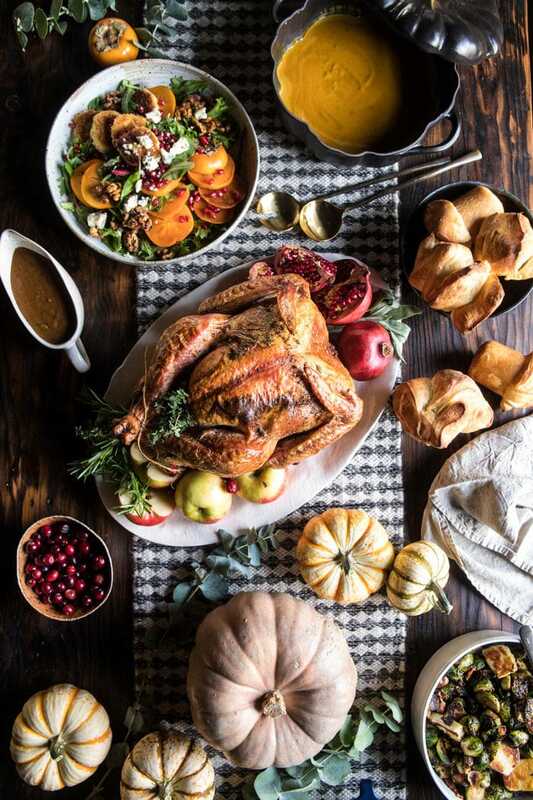 I will be adding the recipes links to this post as each new recipe goes live here on HBH so you can use this post as your go-to Thanksgiving prep guide. Tip: I always start the morning off with a good breakfast. We eat a little later than most, so breakfast is essential. Tip: both cocktails can be made a day in advance (see directions with recipes). Tip: each appetizer can be prepped a day in advance and warmed before serving. The acorn squash can be eaten at room temp. Tip: don’t be afraid to go overboard with the sides. They’re the best part! Tip: Make the pies in advance, but bake the cookies just before serving. Warm cookies are the best…serve with milk. As you can see, it is quite the menu, but I have a lot of mouths to feed. this year we are heading to Cleveland, so it will be a VERY big group. Hey, it’s Thanksgiving, go big or go home, right! As you will also see, I have included a lasagna as part of my main course. I wanted to have a hearty and delicious vegetarian option this year for the non-turkey eaters, and I can’t wait to tell you about this lasagna, it’s too good for words. Since my menu is so big, I thought I would give you guys a break down of just how to get this entire meal on the table and not have stress about it. You ready? Here we go! It’s a lot, but trust me, having it all on paper is so helpful! 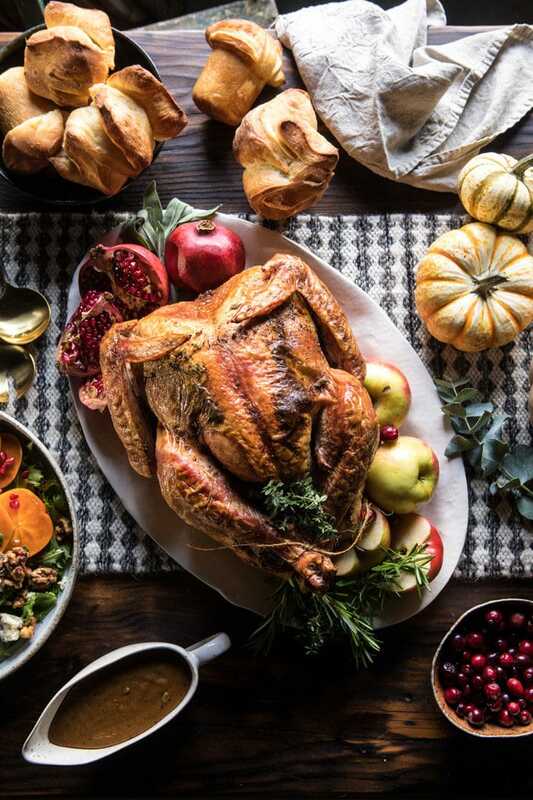 A few things to be thinking about when creating your Thanksgiving menu, how much oven space do you have, how many people are you serving, and does anyone have any dietary restrictions. 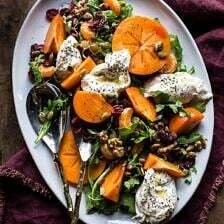 If you know you will have limited oven space, plan to make sides that can be served raw (salads), made on the stove-top, in a slow cooker, in an Instant Pot or cooked ahead and quickly reheated. 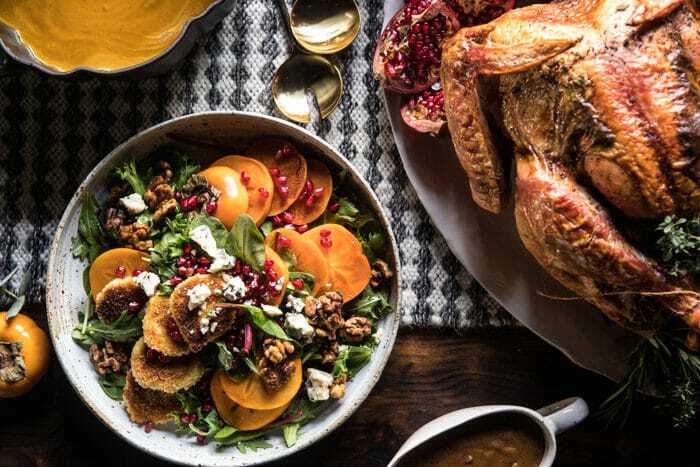 Depending on how many leftovers you’d like, plan on anywhere from a pound to a pound and a half per person. If everyone is heading out the door at the end of the day, I would go closer to a pound per person. If guests your guests are staying through the weekend go for a pound and a half. Bone in breasts are a nice option If you don’t want to cook more than one turkey. And lastly, keep in mind, that if you’ve got a lot of sides, guests will probably eat less turkey. There are a ton of people in my family, a few who will eat most anything, but the majority are picky eaters. We’ve got the brussels sprouts lovers and those who will never go near them. Obviously, I can’t cater to everyone’s specific needs/wants, but I do like to make sure there is something on the table for everyone. It’s important to be thinking about these things before the big day so that everything can go as smooth as possible. This is probably my number one tip to easily getting dinner on the table…and at a reasonable hour. 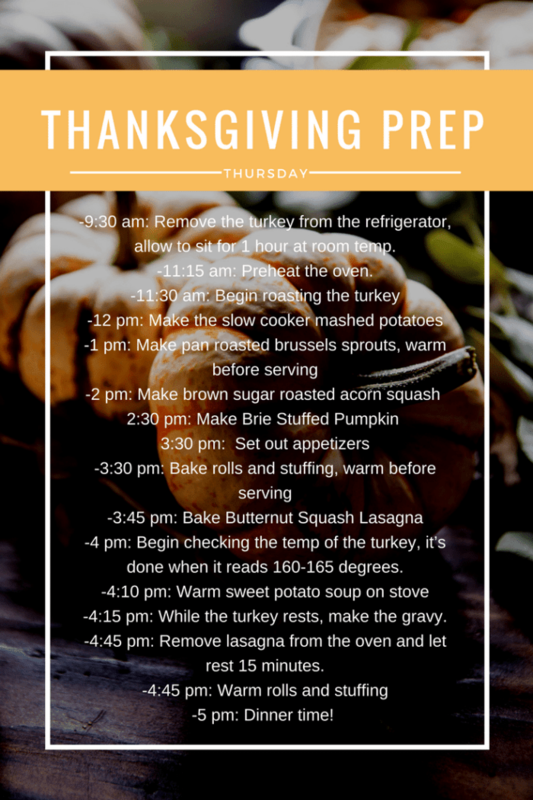 An oven schedule is essential for staying on track on Thanksgiving Day, especially if you’re working with limited oven space. This is something my Nonnie taught me, and it’s probably my favorite trick. I like to set my dinner table the night before. It’s one more thing you can cross off your checklist early, plus you’ll be guaranteed to have the table set and looking pretty when guests arrive. I know it’s hard, but try to remember to relax and enjoy your Thanksgiving. 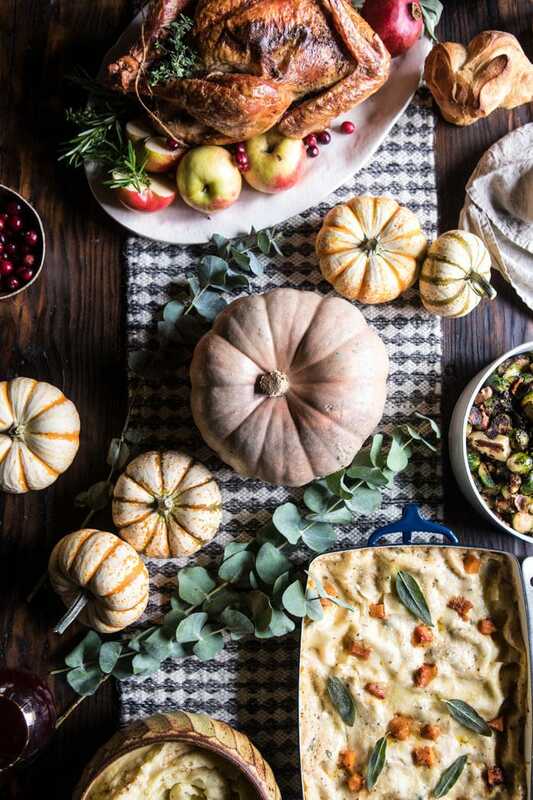 Whether you’re hosting the gathering, or bringing a side dish, Thanksgiving can be stressful for everyone. Just remember, it’s just one day out of the year and the point is to have fun and be with loved ones. If you end up burning the whole meal, no worries, just make more cocktails, eat all the appetizers, and hey, you’ll have good story for next year! And whoooaaaa…lots of words here on Thanksgiving! I loved putting this guide together, and while it’s by no means perfect, I hope it helps with your planning. I will be sharing so much more in the weeks ahead, everything from recipes, to cocktails, to gift ideas, to crafts, so be on the lookout for some fun posts. Yes! I would love to see how you set your table. Setting my table for Thanksgiving is something I think about for a long time before the actual day. In fact, I already have my menu card and name card designs chosen, new salad plates purchased and ideas for how to make new napkin rings. Would love to see what you do! That sounds so nice! Thank you Jeannine! Right, that’s it – I’m getting on a plane and coming to your house to experience thanksgiving!! 😉 Also, YES to a table set up post, thank you & please!! Haha yes! Wish I could have everyone over! I am so glad you like this, thank you Rebecca! Your menu sounds absolutely fantastic and I can’t wait to discover some of the new recipes!! Whilst I have already set the Thanksgiving menu myself, there’s always place for another inspirational dish! Perfect! I hope you enjoy this one, thank you! I’m so inspired and we don’t even have Thanksgiving here! For the past couple of years I have used some of your Thanksgiving recipes for Christmas though. Can’t wait for the new recipes! 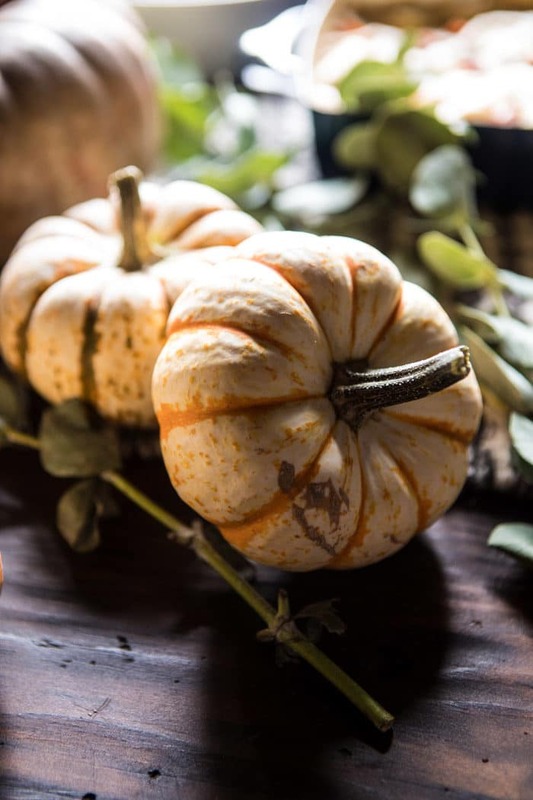 Hello – I love the look of your menu, and since i’ve had great luck with a number of your recipes, I’m thinking to just make your entire menu for thanksgiving. Question – does your plan require two ovens? trying to figure out how you do all the baking, logistically. thanks! Hey Michelle! So glad you like my menu! Yes, ideally my pan uses two ovens. That said, you can pre roast/bake things and do this with one oven or us crockpots too. Please let me know if you have other questions. Hope you love this recipe. Thank you! 🙂 and happy thanksgiving planning! Oh my gosh! This guide is awesome. So detailed. And I love all the photos. I would definitely enjoy reading a post on your table setting! 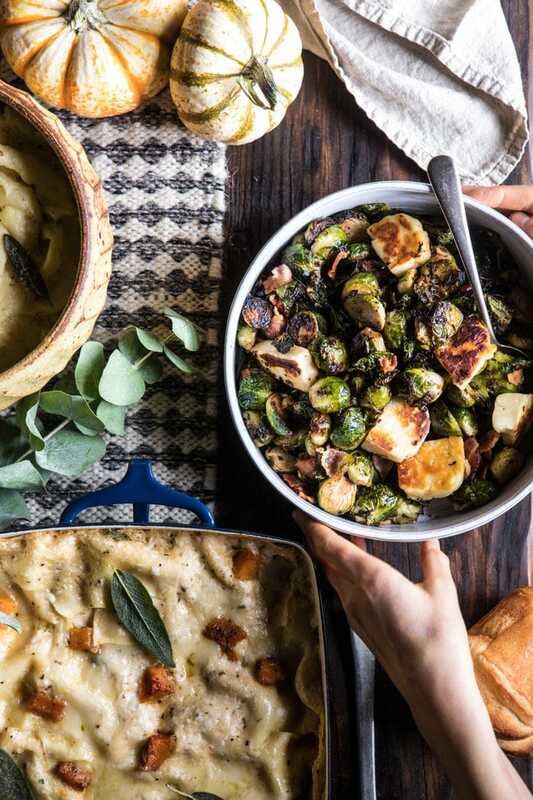 Thanksgiving is over for us in Canada, but this is definite inspiration for my Christmas meal planning! I am so glad you like this! Thank you Leanne! My prep time is similar to yours, on the BIG DAY, just up to 2pm. At 2 pm, I take anything out of the refridg. to be at room temp. that I have prepped the day before. Make the mashed potatoes & place in the slow cooker. That is also the time I get dressed!! (wondering when you get dressed in your timeline!) I check my turkey at 2:30, usually it is done @ 160. Make the gravy at @ 3:ish (hopefully this year it won’t look soooo dark brown like it did last year, wile the turkey is resting. Slice the turkey @ 3:30, set out the appetizers. Guests arrive @ 4pm, serve dinner @ 5. Thanksgiving is such a busy day haha! Sounds like a great prep though Leslie! This. Looks. In. Credible. OH MY GOSH. From the menu itself to the photos (which look like a glossy magazine spread), I can see how much hard work and passion went into this post (and all the ones to come), and it is seriously impressive and amazing!!!! Can’t wait to see each recipe as you roll them out this month! Yes! YES!!! YES!! I want to see how you set your table. I’m like you….how things LOOK is very improtant to me, we do eat with our eyes first. Thanks for all your work, this post is so impressive and will be my go to guide in the next few weeks. Great! I hope this guide helps you out Karen! Thank you! Omgosh, THANK YOU soooo much for posting this early! I’ve been reading up on your posts from last year as well as other brining recipes because I’m hosting thanksgiving by myself for the first time this year!! I’m definitely prepping ahead and you are one of the only blogs to post Thanksgiving meals yet, so I’m extremely grateful. Thanks again! That is so awesome! 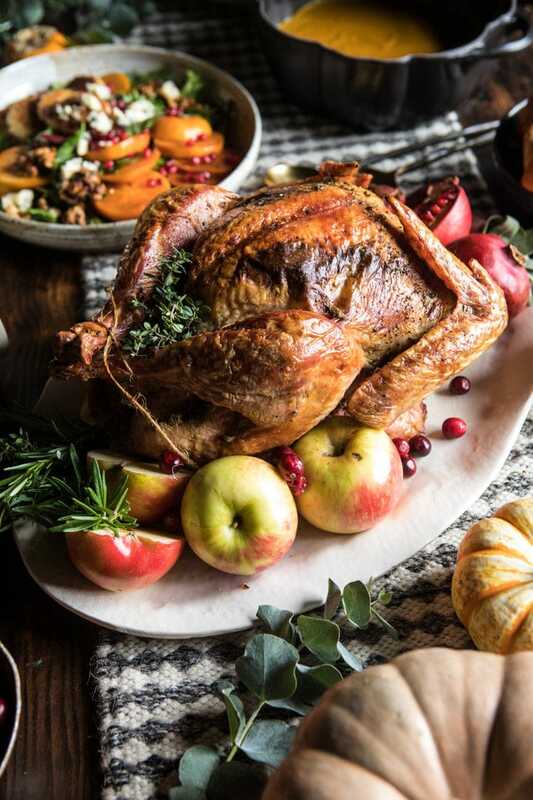 I bet your Thanksgiving meal will turn out amazing Jessica and I hope this guide helps you out a bit! Thank you! Wow, I don’t think I have ever made such a detailed description of any holiday menu. I can really tell that you are excited about Thanksgiving! Eager for the recipes to come! Yes so excited! Thanks Jenny! I’m planning out my menu too and your chocolate chip cookie pie is on it! huge hit around here. I was wondering how far ahead I could make the pie. I usually make all my desserts day of and try to prep everything else at least the day before, but saw you make your pie 2 days early. Should I make it, not bake it, and then bake it day of? Or fully bake it on that Tuesday? Hi Kristin! Baking with your mom sounds so nice! I hope you do make one of my recipes for dessert, let me know which one! I am really excited to have my family all together again for the holidays, since we are all in different places a lot of the time! Thank you! OMG Tieghan, are you seriously going to cook (and eat) all of this ?? 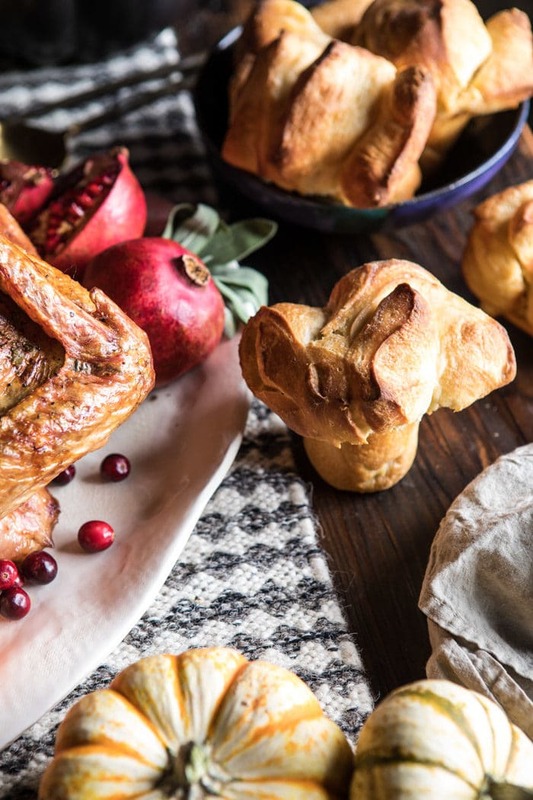 Wow, we don’t do Thanksgiving and being French I’m used to big, long meals, but this is just incredible 🙂 I’ll pick some of these recipes for Christmas, everything (photos included) is mouthwatering! I’m sure your big crowd will enjoy every single bite of this banquet. Haha yes! I have a very big family, so we always need a lot of food! 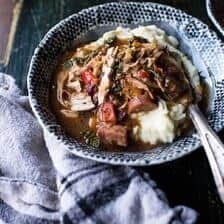 I hope you love some of these recipes for Christmas! Thank you Anaïs! Yes, I would LOVE to see how you set your table for Thanksgiving!! This is a great guide to use for the big day – sounds amazing!! You are awesome!! Thank you Stephanie! I am so glad you like this guide and hope you find it helpful on Thanksgiving! Wow this Thanksgiving lineup looks amazing!! I really appreciate that you have included the meal prep plan… how much easier could this be for your readers?! 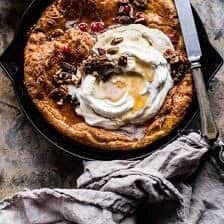 I cannot wait to try some of these recipes, specifically the chai pumpkin pie! Your table looks so beautiful! I hope you have a wonderful time in Cleveland. Where did you get the table runner? It’s the perfect touch with those pastel colored pumpkins. Thank you! The runner is from crate and barrel. Link below! This is awesome, thank you! Need that lasagna recipe! I am glad you like it Kelly! Thanks! There are no words. This is amazing! Love the menu and tips!!! Just started following your blog and have LOVED EVERYTHING I’ve made!!! I definitely want to see your table set up!!! Thank you Melissa! That is so awesome to hear! I love all your serving platter, plates and bowls. Superb and truly make the ingredients look so incredible. Any guidance, websites, stores or brands you can direct me too for some of your favorite serving bowls and plates?? thanks so much, love your work so much.. just ordered your book!! Hi Kristi! I actually have a shop page on my website for where I get my bowls, plates, and everything else. It is on my homepage at the top right! Just click on “shop”, then you can go to “shop kitchen” and all my stuff should be there! I hope this helps! Let me know if you have any other questions! Love these ideas! Do you know when you’ll publish the rest of your recipes? 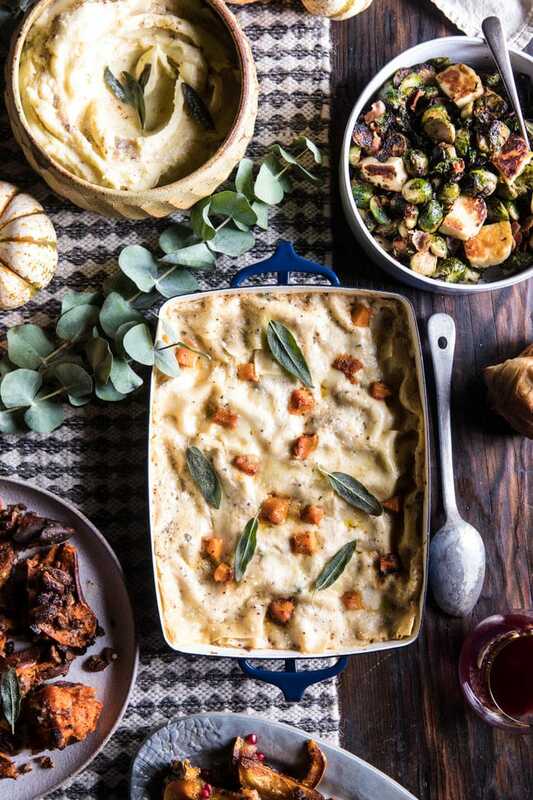 I’m hosting Friendsgiving on Saturday and that lasagna sounds like a great vegetarian option! Best Thanksgiving menu ever! 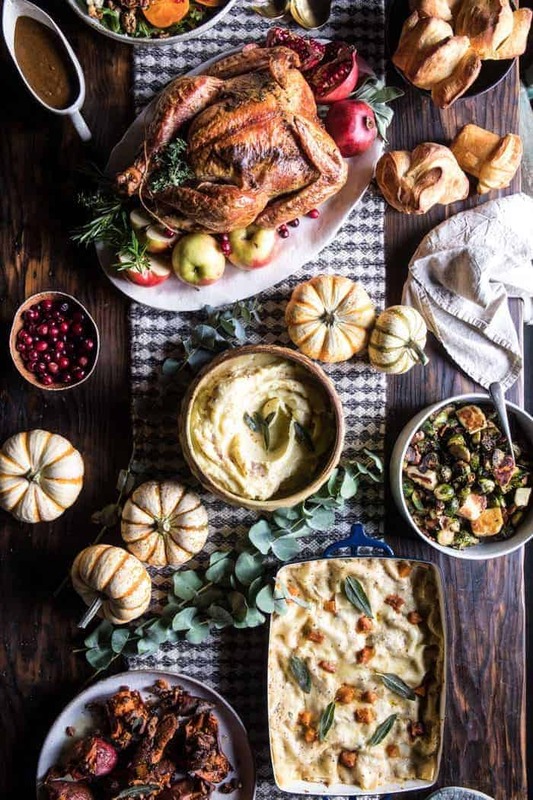 This is such a gorgeous holiday spread! Thank you! I am so happy you like this! so in love with your recipes. I was looking at the recipe for the Easy Flaky Pull-Apart Dinner Rolls, and it looks amazing, but the picture above looks different from the recipe. Is it the same recipe? Do I just bake them in a muffin tin? After reading your timeline of prepping the day of Thanksgiving, I noticed that you have down begin roasting the turkey @ 11;30. After 45 min (12:15) , lower the temp to 350, and continue cooking for 2 hours (2:15 – 2:30). It is written that you begin checking the temp of the turkey at 4pm (160 – 165)…..that’s way longer than 2 hours!! This must be for a much larger turkey! Just saying! How long should you reheat the brussels for and at what temp? Thanks! Do you know when you are posting the recipe to the cranberry pomegranate salsa? I want to finalize my shopping this week and this was on my list of things I wanted to make!! So amazing but you’ve left out a few of the recipes on your prep schedule. When do you make the sweet potatoe casserole s ? These are just a few I plan on making and was wondering if you can make the casseroles on Wednesday and reheat on Thursday? The other ones I am making I can figure out when and you’ve got others listed on your schedule , which is helpful ! I have tried many of your recipes and they never disappoint, so excited to try many of your 2017 Thanksgiving recipes ! I don’t see the Cranberry Pomegranate Salsa recipe! Did that get posted? Nope, so sorry! That’s just a recipe I make, but never thought about posting. Hope you had an amazing Thanksgiving! Thanks for all the helpful thanksgiving tips. I am excited to change up my menu a little by adding a few of your recipes. The turkey being the star of course! Thank you so much Kim! I am so glad you like this!